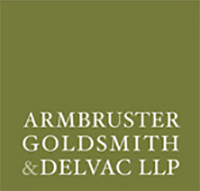 Armbruster Goldsmith & Delvac LLP is one of the premier land use law firms in California. AGD provides its clients with valuable expertise on how to successfully navigate through the regulatory maze of land use and development regulations. One of the things that sets us apart from other law firms is that all of our practitioners are highly experienced specialists, which enables us to deliver the highest quality representation on a cost effective and timely basis. We represent a prestigious roster of real estate, business, and institutional clients in the development of a wide variety of projects, including commercial, residential, institutional, industrial, sports facilities and mixed-use developments. From the inception of a real estate development project through the entitlement process and beyond, to defending the hard won project approvals in court, project construction, operation and disposition, we frequently work as an integral part of development teams of architects, engineers, and other consultants to successfully implement our clients’ goals. Over the years, our attorneys have assisted both public agencies and private developers in successfully navigating the many hurdles of public-private partnerships, including negotiating exclusive negotiation agreements, disposition and development agreements, development agreements, and ground leases for many complex public private partnerships, including sports stadiums and projects at and adjacent to transit stations and at former military bases.